The entry into force of the UPC package follows a complex timetable. 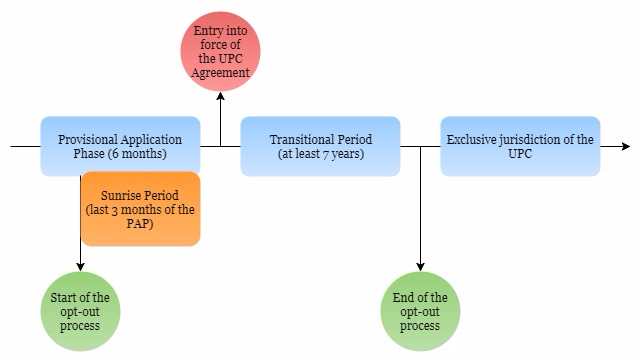 The UPC goes in fact through 3 phases and periods before its start of operations. When will UPC Agreement enter into force? The UPC Agreement will enter into force on the 1st day of the 4th month after the deposit of the 13th instrument of ratification. The instruments of ratification must include Germany, France and the United Kingdom. Germany, France and the United Kingdom’s ratification are indeed a prerequisite to the UPC Agreement entry onto force. This is because they were the 3 Contracting Member States in which the highest number of European patents had effect in 2012. At the end of October 2017, 14 countries had ratified the UPC Agreement: Austria, Belgium, Bulgaria, Denmark, Estonia, Finland, France, Italy, Lithuania, Luxembourg, Malta, Netherlands, Portugal, and Sweden. Germany and the UK are currently in the process of ratifying the UPC Agreement. The Preparatory Committee is thus working under the assumption that the Court will become operational in the first quarter of 2018. What are the Provisional Application Phase and the Sunrise Period? The Provisional Application Phase will start when 13 Member States that have already signed the UPC Agreement and whose Governments have received Parliamentary approval to ratify the UPC Agreement, approve the Protocol to the Agreement on a Unified Patent Court. It will allow for some parts of the UPC Agreement to be applied early. The UPC Committees will be able to take final decisions on the practical set up of the Court. They will -for example- be able to finalise the recruitment of judges and the testing of the IT. Currently, the Preparatory Committee chairman considers that the Provisional Application Phase should start in autumn 2017. The Sunrise Period could then follow at the beginning of 2018. The transitional period will last 7 years starting after the entry into force of the UPC Agreement. 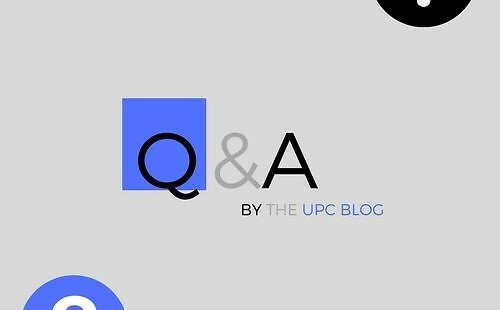 The UPC Administrative Committee may renew it for a further 7 year. The transitional period is likely to start in the second quarter of 2018. It will then last up to the second quarter of 2025. During this period the UPC will share jurisdiction with national courts over actions for infringement and revocation of a European patent. Hence, any holder of or applicant for a European patent will be able to initiate actions before national courts. This will be regardless of whether the European patent or application concerned will have been the subject of an opt-out. Patent holders will be able to request unitary effect for any European patent granted on or after the date of entry into force of the UPC Agreement. The UPC will have exclusive jurisdiction over Unitary Patents. If the transitional period is not renewed, the UPC will have perpetual exclusive jurisdiction over Unitary Patents and European patents. Opted out European patents will not come back under the UPC exclusive competence once the transitional period is over.